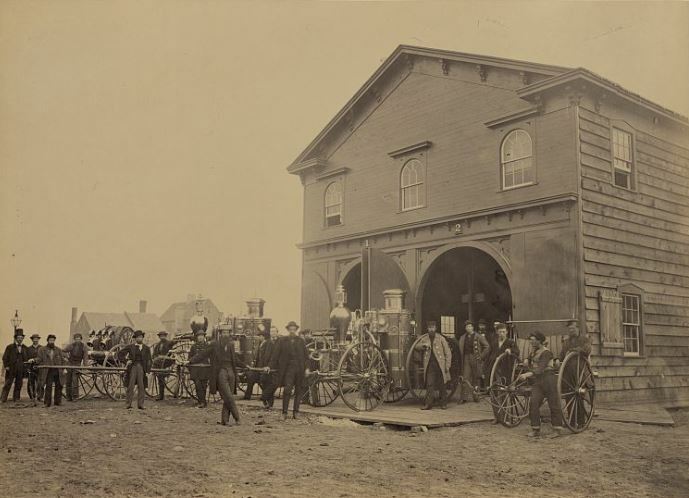 Via Historic Alexandria, City Council passed an act on January 23, 1866 to establish a paid City Fire Department for Alexandria, Virginia. Fire was a constant threat where a small flame could quickly become a major conflagration involving dozens of homes and businesses. For decades, a number of small volunteer companies including the Friendship, Hydraulion, Relief, Sun, and others, served the city, but the outbreak of the Civil War in 1861 severely disrupted the volunteer companies as local men enlisted or fled the area. Responsibility for subduing fire fell to the Union military government, which largely destroyed the remaining firefighting equipment through misuse and neglect. When the City Council was restored, it realized that it would be almost impossible to recreate a reliable volunteer system, and firefighting was accepted as a municipal responsibility.